Are you working at an unpaid summer internship with a non-profit organization or government agency? 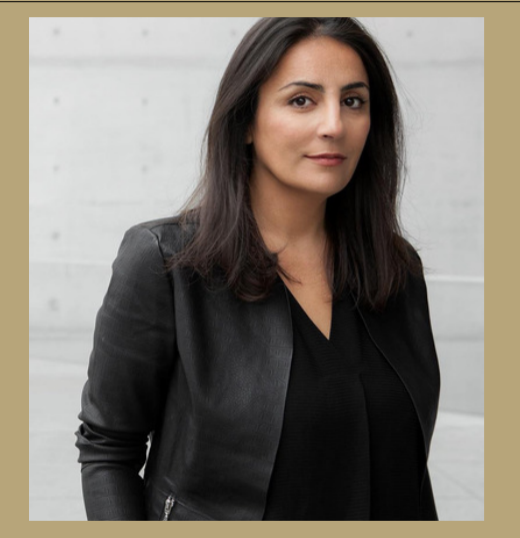 Want to apply for a $2,500 or $5,000 grant to support your work? 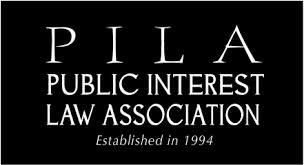 Don’t miss out on your chance to learn about how to apply for a PILA grant! Come learn about the application, requirements, deadline, etc.! Presidential transitions raise a host of important questions. Among them, how much power does a president have? In what ways will an incoming president exercise that power? And how, if at all, can individuals participate in the political process once the election is over? 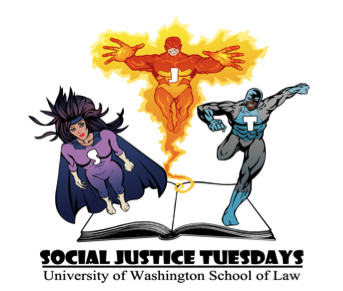 The University of Washington School of Law invites members of the public to join a panel of scholars to discuss the scope, and limits, of presidential power in modern politics. 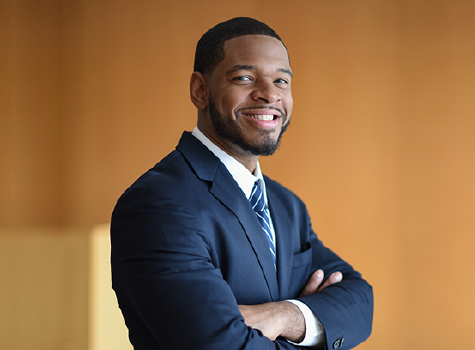 Topics include how President Trump plans to exercise power in his own administration and how members of the public can remain engaged, beyond the ballot box, in the political pro‍cess. Read about the event here. 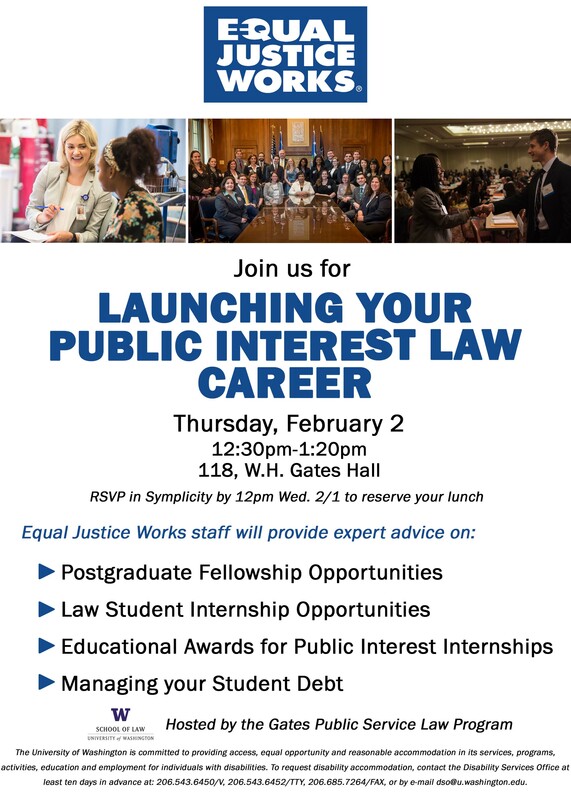 Equal Justice Works staff will provide expert advice on: postgraduate fellowship opportunities, law student internship opportunities, educational awards for public interest internships, managing your student debt. AID NW is a non-profit organization dedicated to serving detained immigrants at the Northwest Detention Center in Tacoma, both during detention and post release. Tickets are $15 and may be purchased at the door or online. Read more here. Join us for Matt Pawa’s presentation on the strategies that he is bringing to bear in litigating cases in the fight against global warming. More information can be found on the registration page. Lunch will be provided; please RSVP by February 1. Learn abut the legal system’s relationship to family through the lens of incarceration, race and queerness. Join activists working at the intersections locally and nationally for a discussion on critical strategies of reproductive injustice and community-generated strategies for survival, healing, justice and transformation.